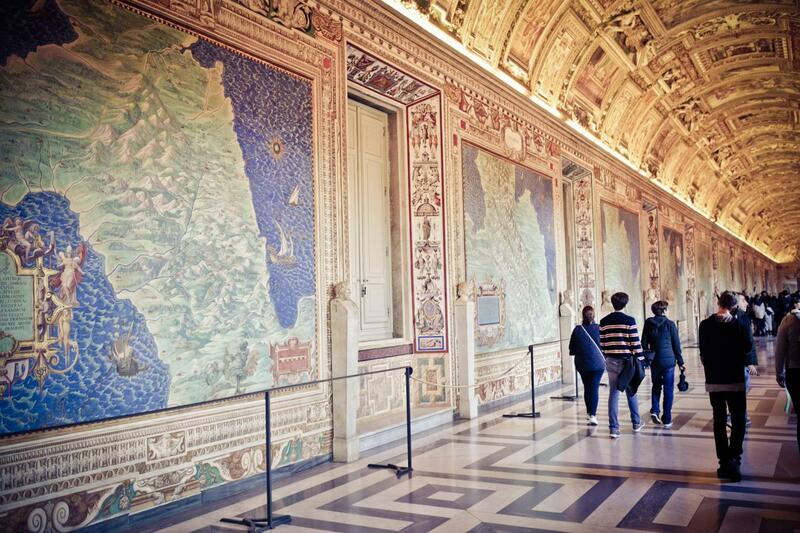 Discover the masterpieces of Rome on this guided tour of the Vatican Museums, Sistine Chapel and St. Peter's Basilica. With skip-the-line access, you won't have to worry about waiting in the notoriously long lines on this tour. Our expert guides will give you an insider's point of view, ensuring that you don't miss any of the must-sees that Rome has to offer. No trip to Rome is complete without a visit to the Vatican Museums, an experience that is sure to inspire the art lover in anyone. Home to 54 galleries including four statue museums: Museo Pio-Clementino, Museo Chiaramonti, Museo Gregoriano Etrusco and the Museo Gregoriano Egiziano. These museums are home to some of the most famous works of art in the world, from world-renowned artists such as Leonardo Da Vinci, Michelangelo, Caravaggio, Raphael and Giotto. The 54th gallery of the Vatican Museums is the famed Sistine Chapel. Completed around 1483, the Sistine Chapel is arguably the most famous chapel in the world due to the artwork located within. View many of the most famous frescoes in the world, including the famous ceiling and The Final Judgement painted by Michelangelo. Not only does the Sistine Chapel hold some of the world's most precious works of art, it is still used for religious purposes such as the Papal Conclave - the process through which a new Pope is chosen. A popular pilgrimage site, St. Peter's Basilica is also one of the largest in the world and a shining example of Renaissance architecture. This breathtaking basilica is sure to be a highlight of your time in Rome. This tour will end in St. Peter's Square. Very educational, and well organized. The tour kept moving quickly and together. The instructor was clearly heard though the headphones and she was very good.